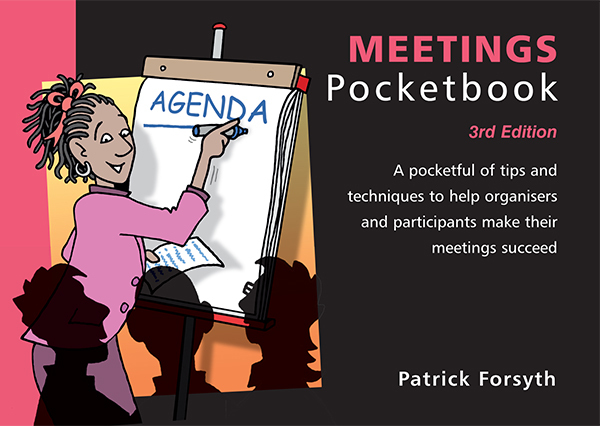 The Meetings Pocketbook reveals all the do’s and don’t’s needed to make meetings successful. Updated and now in its 3rd edition, the popular pocketbook covers advance preparation, chairing, controlling discussions, effective participation and use of minutes. Essential reading for both organisers and participants. ‘Don’t arrange or attend another meeting without reading it’, recommended one reader. A ‘straightforward reminder of the rules’, said another. Gill Smillie, Chief Executive, Conference Venues Countrywide (and a founder member of the Meetings Industry Association). Pippa Bourne, Head of Non-accredited Programmes, Institute of Management.